Hello MMO groovers. It’s time for another healthy helping of the latest massively multiplayer news. While things have been relatively quiet leading up to PAX Prime and Gamescom, I have found a number of newsy nuggets to foist upon you. 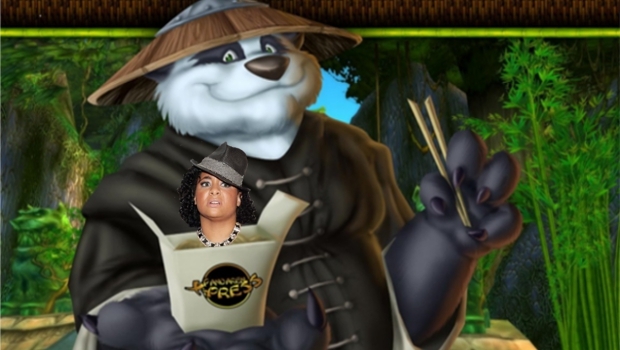 “Pandas to the rescue!” A number of juicy World of Warcraft stories have cropped up. Firstly, MMO Champion uncovered a Blizzard-filed game copyright for the title “Mists of Pandaria.” Speculation is running wild that this may be the name of the next WoW expansion and feature a playable Pandaren race (yes, anthropomorphic pandas.) All may become known at BlizzCon in October. Speaking of BlizzCon, virtual tickets for the big show are now on sale for $39.99 USD (WoW and StarCraft II in-game items included). Also of note, WoW players raised $1.9 million for Japan earthquake relief by buying in-game Cenarion Hatchling pets. Finally, CEO Mike Morhaime says WoW has lost 300k subscribers in the period covering May to July. Will pandas with attitudes be enough to bring fleeing subscribers back? “Greek Peek” Curious about the mythical it’s-actually-been-released-after-six-years Gods & Heroes? Satisfy your curiosity with Heatwave Interactive’s new three-day free-trial offer. The Heatwave team has also recently added a new Scout class for those who'd like to infuse their Strider fantasies with the “Power of the Gods”. “TERAble news” En Masse Entertainment’s fast-action MMO TERA has had its release date pushed from this Fall into Spring 2012. North American producer Chris “Chager” Hager says “When the beta phase starts in early 2012, TERA will be operating like a well-oiled machine.” Remember folks, that MMO you’re anticipating will be delayed at least once. Factor that into your stress management plan. “Flickering 'Light” Being a big fan of single-player hack ‘n’ slash dungeon crawler Torchlight I was greatly excited back in 2009 when Runic Games announced an MMO follow-up. Due to the surprising success of Torchlight, the devs instead focused on getting Torchlight II done ASAP. TL II brings small scale multiplayer into the mix but isn’t massive by any means. In an interview with Eurogamer, Runic CEO Max Schaefer says the MMO is still far off and may be delayed yet again if Torchlight II rocks the sales charts like the original. I love me some Torchlight--but I demand my MMO version NOW! “Winter brings ‘Fall” Red 5, who have been developing the massive sci fi shooter Firefall for many a long year, have finally announced a December release date for the game. An “expanded” Beta will be on offer following Pax Prime in late August. Jetpack over and sign up. “Spandex Spendthrifts” NCsoft’s long-running City of Heroes title recently announced it was going free-to-play when the “Freedom” update launches later this year. Now, Paragon Studios are giving up secrets regarding the free game’s upcoming Cash Shop, or, Paragon Market. New costumes (‘natch! ), power sets and character slots will all be available for purchase. Just remember to stay away from the capes. You’ll end up caught in a jet turbine or sucked into a vortex! “Loving the Alien” How would you like a free Star Trek Online client, 60 days of subscription time and a Tribble pet? If you answered “Make it so” you’ll want to beam down to the Alienware Web Site and sign up for an Alienware Arena account. Yes, that’s free too. The trouble with this Tribble? You’ll need to be a brand new STO player to qualify. Hurry though. At the time of this writing only 1k giveaway packages were left. That’s going to do it for this week cats & kittens. Keep on leveling up and keep it logged-in. David Moore has run the site gamebunny.com for the past ten years and co-runs torwars.com, a site focused on all things Star Wars: The Old Republic.